People list one or more emergency contacts in their phones that are typically called the ICE. However, if your phone is locked in case of a traumatic accident, the emergency contact can’t be viewed by the rescuers and they can not get important information about you that could save your life. 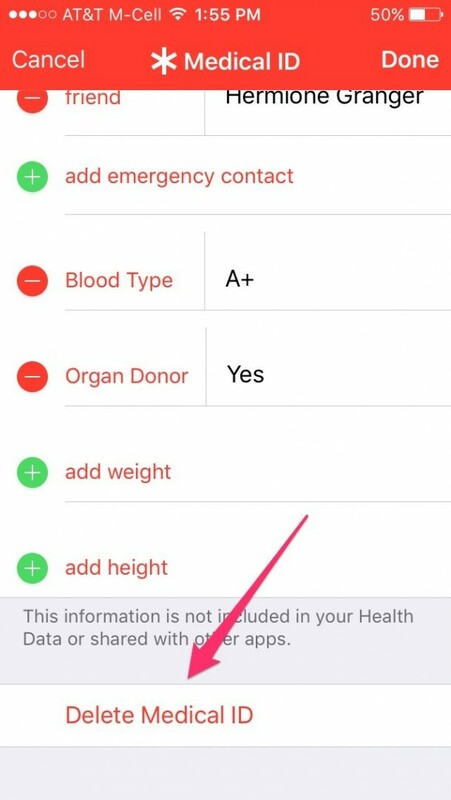 A hidden iPhone feature not only allows the people around to view the emergency contact number, but it also provides us with a medical ID option that is hidden inside the iOS Health app. There are many features in the phone that can make your lives easier, but this is one tool that might actually save your life! The medical ID is supposed to be accessed from the lock screen. 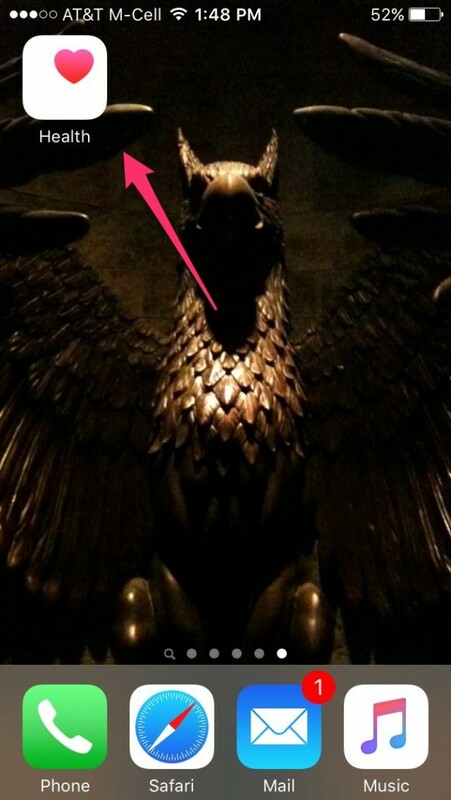 Tap the emergency button on the left. 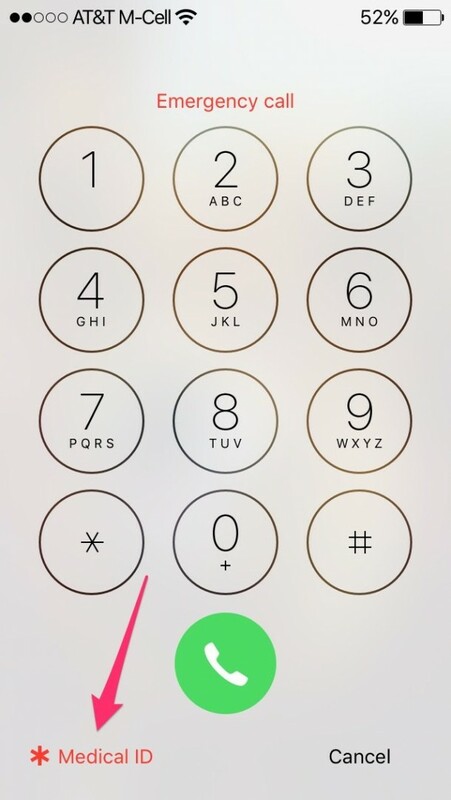 You can either place an emergency call or tap Medical ID in the bottom left the corner. This is how the Medical ID will appear. 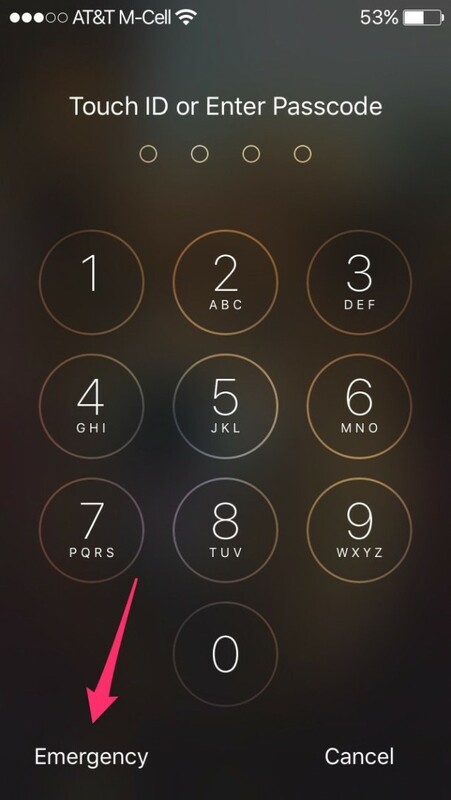 Since it is visible directly from your lock screen, you should only fill information and contacts you feel like sharing with people. It is at the mercy of peeping toms including your co-workers so be careful while filling it up. Some people only fill the ICE and leave it at that. That is a safe approach as well. 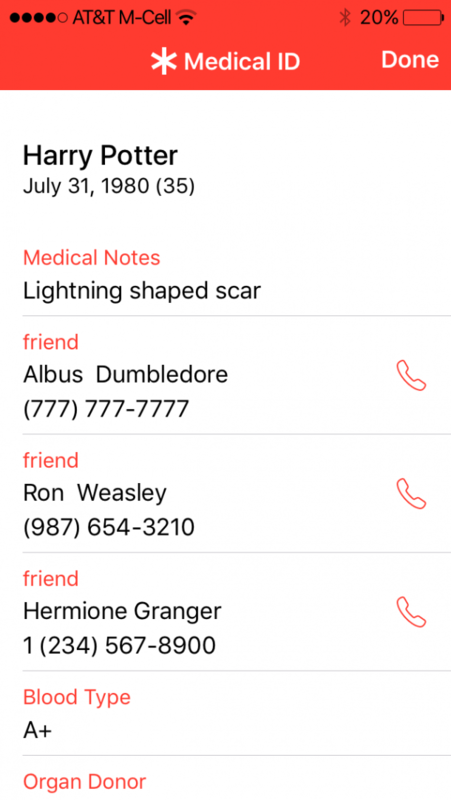 Here you can list all of Harry Potter’s contacts including the label of Organ Donor so that your insides can be used to save another person if you no longer have the use for them. Pretty useful in a tricky situation, isn’t it? To edit or enter the information, click the health app in your app list. Once you are through, click on the medical ID bar at the bottom right corner, and here you get this menu. You can edit all of these bits of information as you like but don’t fill too much. 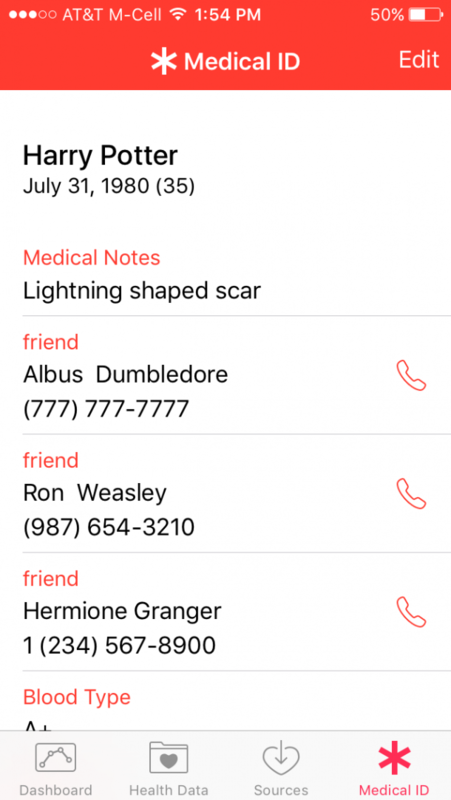 You can even add multiple contacts and add your relationship to them if you want so that the rescue guy will directly contact the most appropriate one. 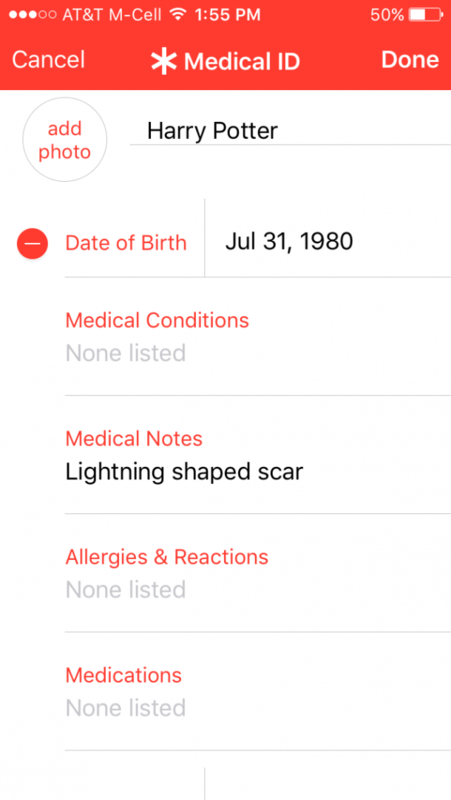 You can edit or delete any kind of detail you don’t wish to appear on the medical ID. The Health app is quite safe to share data with because even though Apple backups the data at iCloud, it doesn’t allow any other app to share it. You can also delete it entirely.